Use the code 20BOX to make a massive saving on the US or UK magazine. 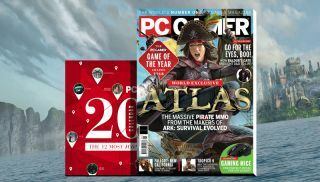 To celebrate the holidays and the Boxing Day sales, we're doing a major discount on all PC Gamer magazine subscriptions over the next couple of days. Until 9AM UK time on December 28, use the code 20BOX to knock 20 percent off the price of any PC Gamer subscription. This applies for readers of both the US and UK editions, across print and digital.